So all through December and most of January there was a little ice skating rink set up here. It was actually right at the park Aria and I go to every Thursday for our “Mommy Aria Day”. Every week she kept asking if we could go and I kept putting it off because I just wasn’t sure she was old enough, if she’d get it or how she’d tolerate the large crowds. Well one rainy night it was empty and it was actually pretty warm out so as we were driving by I told James to pull in and check it out. 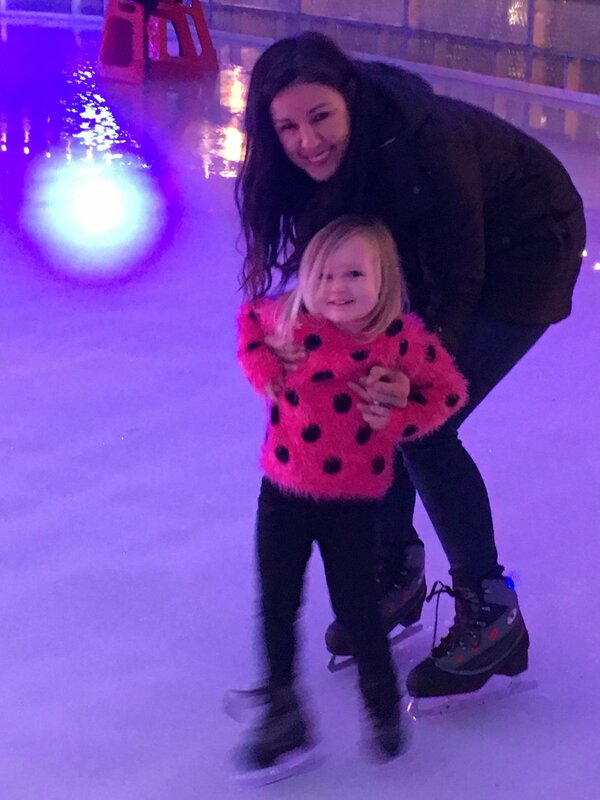 She was old enough and they had skates in her size….so off we went! 1. 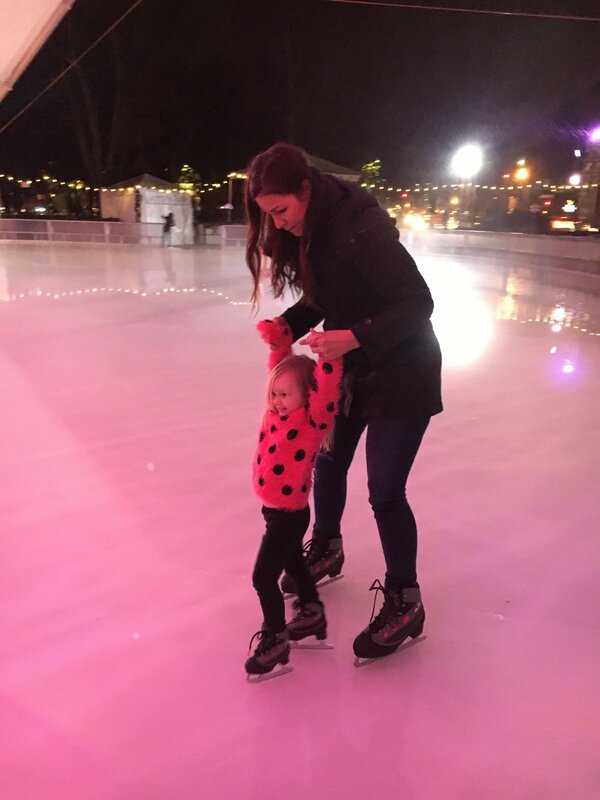 Faces a fear: Although Aria had been desperately asking to go, I knew she would freak out once standing on the ice…and she did. But, with some help and encouragement, she got through her fear and started to figure it out. 2. 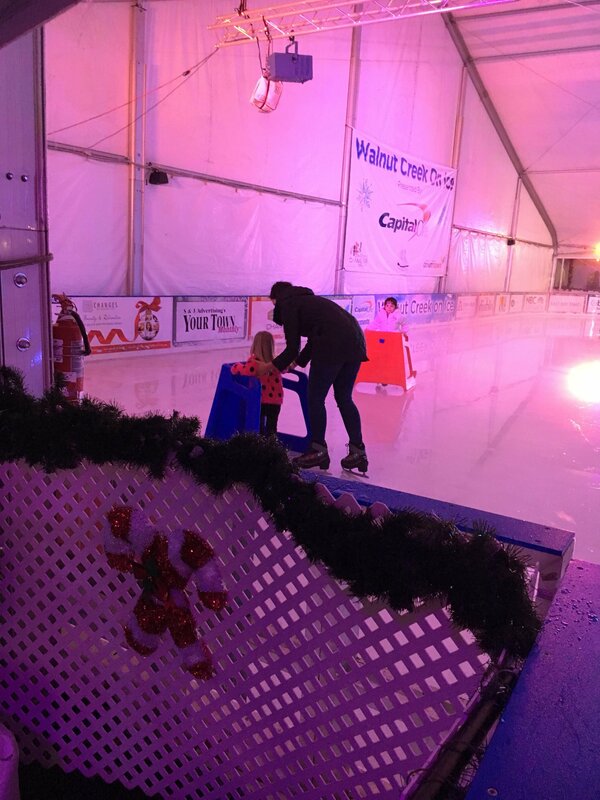 Builds Confidence: After a little bit of time holding my hands and me helping her, she wanted to try the kids skating walker. 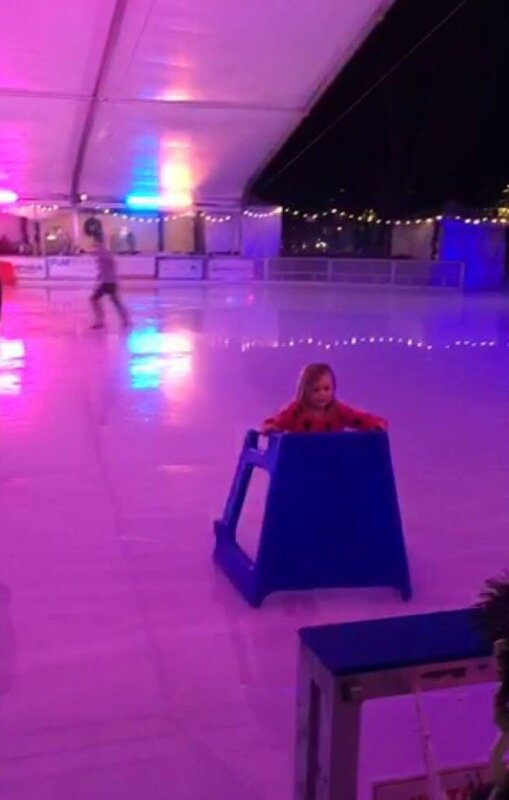 At first she wanted me to help her, but then she quickly wanted to start skating all by herself. She gained a little confidence in herself and since then I have seen her carry that over into other activities. 3. 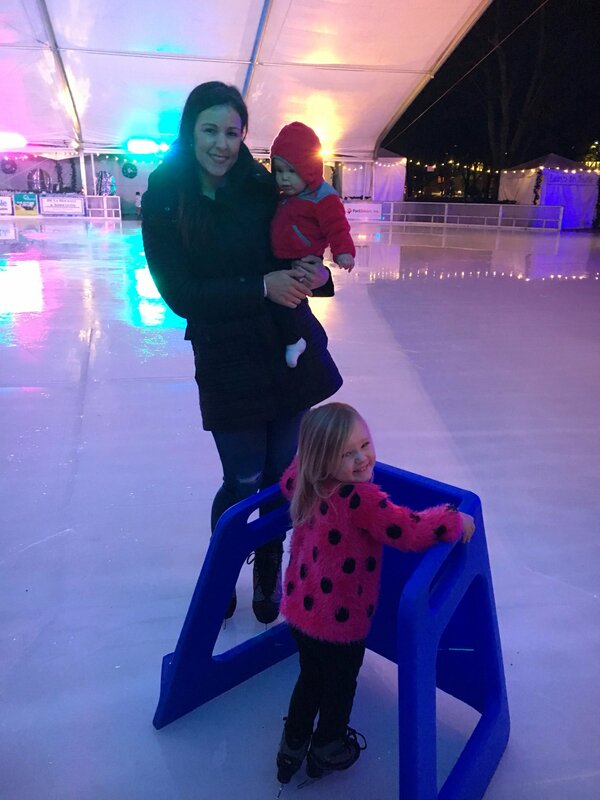 Parental Support: I think it’s just another example to Aria that we will always be there to support and help her through something that she finds challenging. I’ve always wanted to be the kind of parent my kids felt like they could come to, ask me for help and feel like I will always be there. I always felt that way with my parents and I want the same for my girls. I love to find little ways to continue to teach her she can depend on us, and this was another one of those moments. Thanks for stopping by and I hope you have a wonderful week!